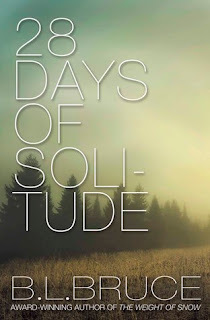 Written during her twenty-eight-day stay in a small cabin in the remote mountain forests of Northern California, author B. L. Bruce chronicles the daily life of a writer at work. 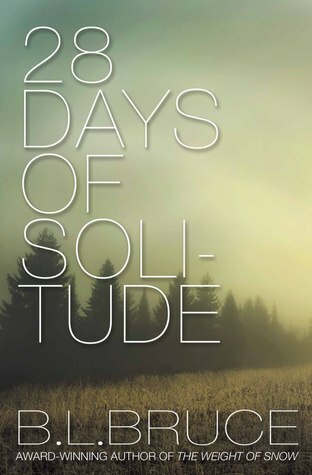 In the wake of her award-winning poetry collection, The Weight of Snow, 28 Days of Solitude moves the focus away from the creative work and toward the often-overlooked creator. Offering insights into her personal thoughts of the craft and its importance in her life before and during her residency, Bruce’s memoir aims to give readers a glimpse into the psyche of a writer. This is written almost like a daily journal. Each entry explains what the author’s intentions were for that day. She then tells us about the struggles she has with her writing. I’ve often wanted to be dropped at a cabin in the middle of the woods somewhere to write. Having read her journal I know I would face a lot of the challenges that she faced. She would often get up and begin her writing, only to realize she wasn’t getting anywhere with it. She tried going different places to relax and get I spired. I understood her writing struggles. I believe all writers go through those same struggles. On page 41 she said “There’s no pretense or judgement when you write.” I feel that those very words are the reason writers write. We create, and the paper and words don'’ judge us. I enjoyed this book because I was able to relate to it. I’m not sure someone who is not a writer, or has no desire to write would really understand the message behind it. I will recommend it to those I know are writers or want to write. Maybe it will give them an idea about what real writing is about. 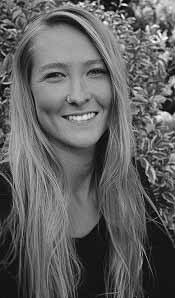 BRI BRUCE holds a Bachelor of Arts degree in post-modern literature and creative writing from the University of California at Santa Cruz and has conducted extensive post-graduate work with UC Berkeley’s professional editing program. Currently a writer, photographer, publisher, and both a freelance and professional editor and graphic designer, her work has appeared in over fifteen anthologies, magazines, and literary publications, including Celebrate!, The Sun Magazine, Tattoo Highway, Ampersand, Red Fez Entertainment, The Cossack, The Avocet Review, Atom Magazine, Northwind Magazine, The Soundings Review, The Monterey Poetry Review, and Third Wednesday. She was named Featured Poet of Homebound Publications’ holiday issue of The Wayfarer (Vol. 2, Issue 4, Dec. 2013). Most recently, seven of her poems were selected to be included in Tayen Lane Publishing’s Poems from Conflicted Hearts alongside Poet Laureate Alice Shapiro, and she was the recipient of PushPen Press’s Pendant Prize for Poetry for her haiku series published in THREE with Poet Laureate Erica Goss. Bruce is the award-winning author of The Weight of Snow: New & Selected Poems, published February 2014 by Black Swift Press. Specializing in book publishing, Bruce's professional work has given her the opportunity to work with dozens of authors, assisting with editing, book cover design, and marketing. Many of her clients’ books have gone on to win awards.